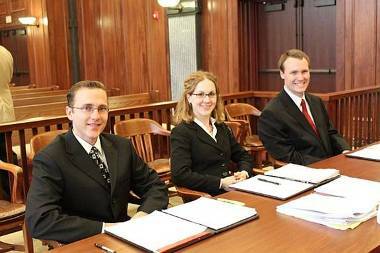 The University of Wyoming's joint degree program combining a Juris Doctor (J.D.) with a Master's of Arts in Public Administration (M.P.A.) results in students earning two degrees in approximately three to four years. The Master of Public Administration (M.P.A.) is a professional degree for those who seek leadership positions in public service. Students will learn the skills and techniques to design and implement policies, projects and programs to provide vital daily services and address important societal problems while attending to the day to day administrative issues in organizations. The joint degree program is for those looking to launch their career or round out their education with public administration experience. The J.D./M.P.A. prepares students for a variety of public sector roles, including leadership, management, and administrative positions in government and non-profit organizations; to instill in students’ public service values and professional ethics; and to promote a commitment to the improvement of government and social institutions in the ever-changing public landscape. In fulfillment of the J.D. degree, the College of Law will accept up to nine hours of M.P.A. credits in courses approved by the Associate Dean of Academic Affairs. In fulfillment of the M.P.A degree, the College of Arts and Sciences will accept up to 9 hours of credits earned in specified courses in the J.D. program. Applications are accepted and decisions made year round. Students may begin the program in the fall or spring semesters and summer courses are available for those who have completed POLS 5000. GMAT or GRE Exception: The GMAT or GRE is not required for J.D./M.B.A. applicants demonstrating strong quantitative ability and preparedness for the mathematical rigors of the M.B.A. program through their LSAT, prior coursework, professional experience, and/or certifications. If an applicant is uncertain their background demonstrates the level of quantitative ability required to be successful in the M.B.A. program, they may take the GMAT or GRE by the application deadline. For more information about the M.P.A. program, please call (307) 766-6484 or e-mail mpa.info@uwyo.edu.